ADL – The Anti-Defamation League was founded in 1913 “to stop the defamation of the Jewish people and to secure justice and fair treatment to all.” Now the nation’s premier civil rights/human relations agency, ADL fights anti-Semitism and all forms of bigotry, defends democratic ideals and protects civil rights for all. Please call 1-212-885-7700 for general information. AMERICAN EMPIRE EXPOSED – Joachim Hagopian is a West Point graduate and former US Army officer. He has written a manuscript based on his unique military experience entitled “Don’t Let The Bastards Getcha Down.” It examines and focuses on US international relations, leadership and national security issues. After the military, Joachim earned a master’s degree in Clinical Psychology and worked as a licensed therapist in the mental health field for more than a quarter century. He now concentrates on his writing and has a blog site at http://empireexposed. blogspot. com/. He is also a regular contributor to Global Research and a syndicated columnist at Veterans Today. B EVOLUTION – is the inner revolution creating the outer transformation. All transformation is about thought processes. Change is always in the Now. Understanding is taking right action. Revolution means to turn around. It’s all about you – you’are the One. BILDERBERG MEETINGS – Bilderberg takes its name from the hotel in Holland, where the first meeting took place in May 1954. That pioneering meeting grew out of the concern expressed by leading citizens on both sides of the Atlantic that Western Europe and North America were not working together as closely as they should on common problems of critical importance. It was felt that regular, off-the-record discussions would help create a better understanding of the complex forces and major trends affecting Western nations in the difficult post-war period. THE BIORC BIOMIMETIC REAL TIME CORTEX PROJECT – This material is based upon work supported by the National Science Foundation under Award–0726815 and funding provided by the University of Southern California. Any opinions, findings and conclusions or recomendations expressed in this material are those of the author(s) and do not necessarily reflect the views of the National Science Foundation (NSF). 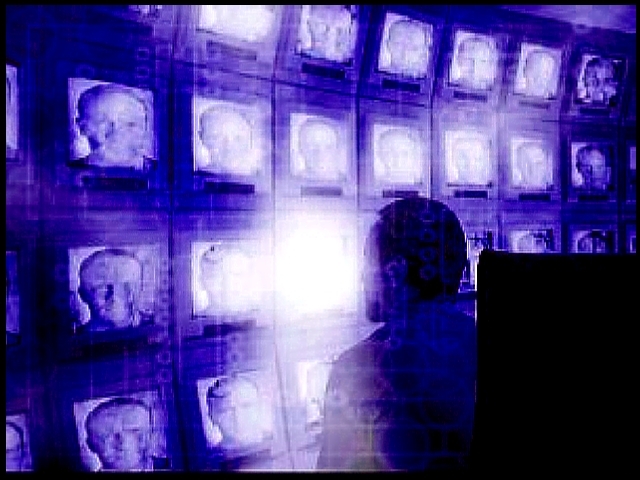 CE399 | RESEARCH ARCHIVE (ELECTRONIC_MIND CONTROL) – Research archive blog site about electronic mind control programs. CONTROLLED AMERICA – There have been several human rights organizations formed to address the issue of nonconsensual human experimentation with a trauma-based bio-technology mental and physical torture program. One of them is Controlled America which was formed by Mary Ann Stratton controlledamerica@yahoo.com in 2001. CROCODYL – is a collaboration sponsored by CorpWatch, the Center for Corporate Policy and the Corporate Research Project. Our aim is to stimulate collaborative research among NGOs, journalists, activists, whistleblowers and academics from both the global South and North in order to develop publicly-available profiles of the world’s most powerful corporations. The result is an evolving compendium of critical research, posted to the public domain as an aid to anyone working to hold corporations increasingly accountable. EUCACH – The European Coalition against Covert Harassment (EUCACH) is a not-for-profit organisation committed to raising awareness to the problem of non-consensual experimentation using remote influencing technologies and techniques on the human mind and body. We propose clear ethical boundaries to regulate their use. FEDERATION AGAINS MIND CONTROL EUROPE – To achieve this silent epidemic to get the attention it deserves, as global human rights issue, health and security matter. We are asking the United Nations, the World Health Organization and political leader’s to investigate this problem, and capture the nature of it in a way that does not depend on any assumptions, prejudices, or values of the particular individual who studies it. THE FORBIDEN KNOWLEDGE – The Illuminati Formula Used to Create an Undetectable Total Mind Controlled Slave by Cisco Wheeler and Fritz Springmeier Here is a remarkable and powerful book. Save it. Copy it., Give it to friends and therapists for compassionate work. You now have in your hands the very tools that can deprogram the dream. Once you know this, and you absorb its implications, you can no longer be blind folded. By reading this, you may be helping millions of monarch slaves . These techniques only work by our ignorance of knowing them. Herein, let us apply the Heart to the mind, and awaken a Middle Way, by infiltrating another piece of the cancer of sleep, as All Is God in Action. FREE ZONE – The Free Zone Association is a non-profit organization founded by former members of the Church of Scientology. The purpose of the organization is to enlighten the public and initiate a discussion about the philosophy and practice of Scientology. Chairman Bernd Lubeck, Munich, himself having been a Scientology member many years ago, explains that his Association doesn’t strive for a “pay-off” with the Church of Scientology. The intention was rather to research and make public the techniques developped by the founder of Scientology, L. Ron Hubbard, as most members of Scientology have made good experiences with them. In that course the attention of the Association was drawn to the Nordenholz book which contains some interesting parallels. INJURY CLAIM COACH – Regular people often feel helpless in the face of big insurance companies, and think only lawyers have the answers. This site aims to change that. We teach everything you need to know about the personal injury claim and settlement process. While we always recommend getting a free attorney consultation, sometimes you don’t need an attorney, or maybe you can’t find one willing to take your case. Our free Claim Guide gives someone with no legal background the knowledge and tactics to get a fair settlement in minor personal injury claims. Don’t worry, the information here is written in plain English – no legal jargon (or at least as little as possible ;-). NATIONAL STALKING AWARENESS MONTH (NSAM) – You will find here a wealth of resources to help you build awareness about stalking in your community. You can use these fact sheets; brochures; guides for victims and professionals; and posters, public service announcements, news releases, buttons, and other resources to create a successful National Stalking Awareness Week campaign. By joining forces to know, name, and stop stalking each January, we can better support victims throughout the year and begin to end stalking and its devastating consequences. STALKING VICTIMS – America has been hit with an escalating crisis it doesn’t know how to handle. Across the country, hundreds of thousands of people have fallen victim to individuals who have obsessively focused on them. The phenomenon is called stalking. And once you’ve been a victim, you’ll know how life-destroying this can be. The purpose of this site is to educate people about this insidious crime, and most importantly, to offer sanctuary to those exposed to its ugly face. We offer these resources so that victims may take back their lives. Regaining control, reclaiming it from those who thrive on stripping it from others, is the task facing all victims. Our duty is to assist with that endeavor. STOP CANADIAN COMPLICITY IN TORTURE – Canada, Torture by Proxy, CSIS, RCMP, Syria, Caravan to STOP Canadian complicity in Torture. “SECRECY is a basic component of the Policy of Torture: It is essential to the structure of torture that everything takes place in secret, in the dark, beyond consideration of shame or account. When the torturer assures his victim ‘ no one will ever know’ , he is at once working to break the victim’s spirit and bolster his own”. From “Settling accounts with torturers”- Lawrence Welsher Torture is universally accepted as: “any act by which severe pain or suffering, whether physical or mental, is intentionally inflicted on a person for such purposes as obtaining from him or a third person information or a confession, punishing him for an act he or a third person has committed or is suspected of having committed, or intimidating or coercing him or a third person, or for any reason based on discrimination of any kind, when such pain or suffering is inflicted by or at the instigation of or with the consent or acquiescence of a public official or other person acting in an official capacity. It does not include pain or suffering arising only from, inherent in or incidental to lawful sanctions” (Article 1 of the United Nations Convention Against Torture and other Cruel, Inhumane or Degrading Treatment or Punishment 1988). SWIPNET – This site is being created to help me influence journalists in Sweden (and possibly elsewhere) to learn more about Non-consensual Human Experimentation and the context in which it occurs. Even though I may be motivated to some extent, by my selfinterest, being a mind-control victim since 1992, I am certain that the problems are of general importance and I hope the effort will lead to a much deepened study and understanding of the post-war period among the educated public and the policy-makers. TARGETED INDIVIDUAL GUIDE TO HOMELESSNESS – For Targeted Individuals driven into homelessness.Shelter reviews from TI perspective and advice about travel/nomadic lifestyle. TI WORLD – A journal of a “targeted individual” (TI); a person subjected to organized harassment and possible mind-control activity in the form of gangstalking, directed plasma beams, masers and other unconventional energies. My family, who have become evasive and unobjective, do not wish to explain why I am the centerpiece of a substantial nonconsensual human experimentation activity operation in Victoria, British Columbia, Canada. UNDERGROUND VIDEO UK – Official Web-site of Miles Johnston. Underground Video UK is derived from the investigations section of the former Irish UFO Research Centre. AMMACH HELPLINE (Mind Control) 07951 752 813 is a confidential free service and available to anyone in the UK. XIANDOS INFORMATION – Many people become shocked and amazed to discover that the free and democratic western world is not free at all, that all major media is controlled, that elections are controlled and only allow citizens to choose between different fronts for the same party, that governments worldwide covertly carry out terrorist attacks in order to control the masses and that the world today is, in fact, far worse than the nightmare vision described in George Orwell’s 1984.